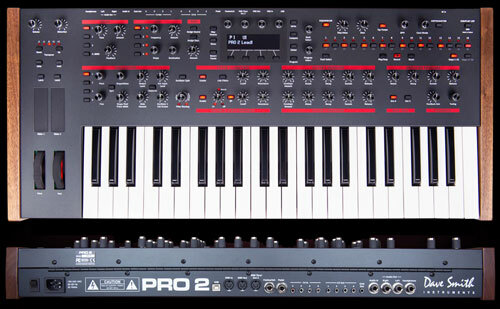 The Poly Evolver Keyboard is the king of Evolver performance synthesizers. 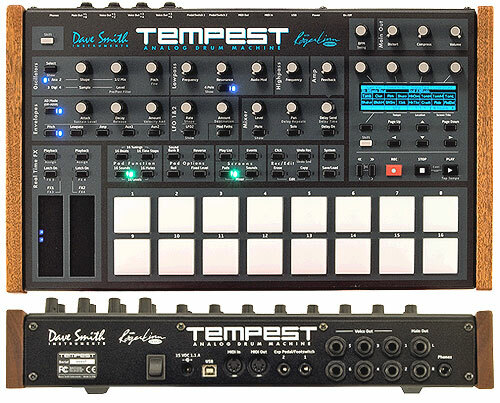 It is a four-voice synthesizer with a 5-octave keyboard, pitch and mod wheels, and a ton of knobs and switches in a clean, clear layout for the ultimate in real-time control. 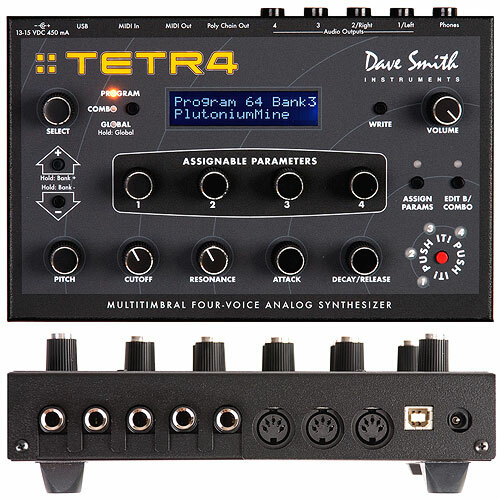 Each voice is a complete Evolver with four oscillators per voice, two analog and two digital. True stereo signal path with separate Curtis analog low-pass filters in each channel for each voice. 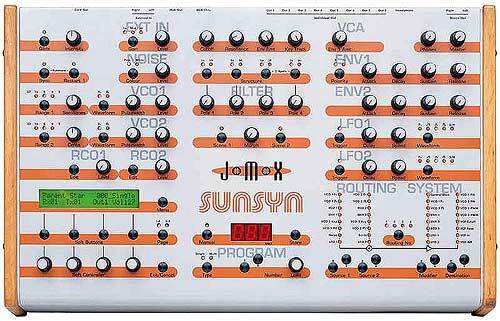 Each voice has its own independent effects (feedback, delay, distortion, high-pass filter, etc.). 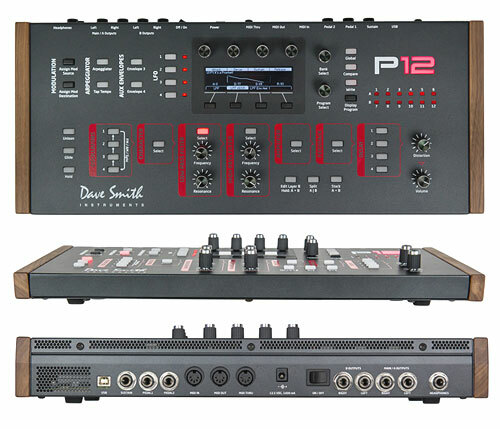 Highly accessible sound control for easy, intuitive operation: 78 knobs and 59 switches. Clocked, pulsing blue LEDs and hardwood end-panels. 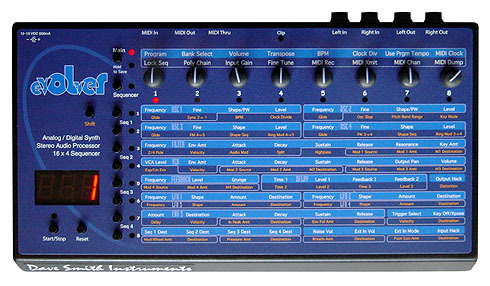 Each voice has an independent 16 x 4 step sequencer. Everything (sequencer, LFOs, and delay) syncs perfectly to MIDI. In Program mode, all four voices play the same sound. In Combo mode, voices can be allocated however desired: stack all 4 for a huge unison sound, split or layer the keyboard in any configuration, and/or play one or all sequences at the same time. 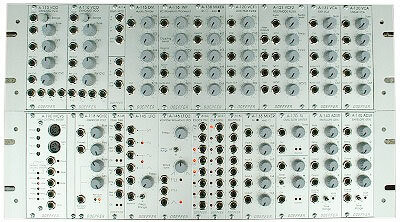 Each voice can respond to a different MIDI channel. Multiple Poly Evolvers can be daisy-chained for increased polyphony. 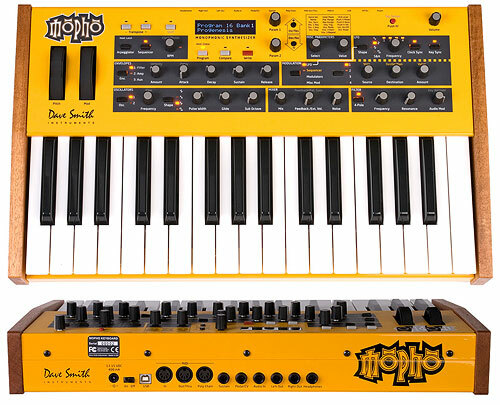 �Poly Chain� mode (with dedicated MIDI output) handles voice assignment overflow for effortless expansion. 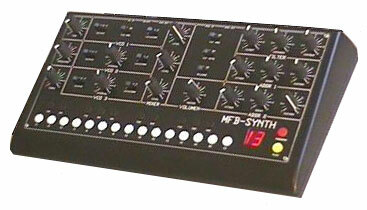 Each voice has its own stereo output in addition to the mix and headphones outputs. Stereo audio input that can be routed to any or all of the voices, enabling parallel audio processing of external stereo or mono signals. 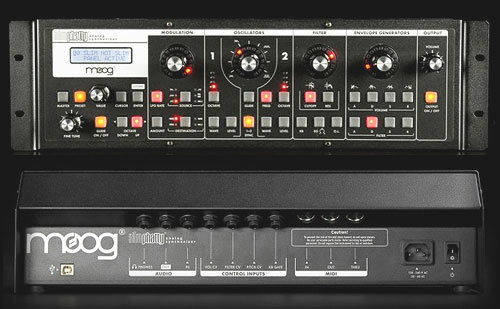 The output of one voice can be routed to the input of another for interesting double-processing effects.